Over the past twenty years, I have worked with hundreds of non-profit organizations. In my experience, the majority of non-profits (and the vast majority of small and mid-sized organizations) are frustrated with fundraising. Most non-profits feel overwhelmed with fund development. They have high turnover for fundraising staff, are trying to do too many things, and never feel like they are able to raise the money they need to thrive. Does this describe your non-profit organization? If so, I have the answer for you: donor fundraising systems. What Are Donor Fundraising Systems? Donor fundraising systems are development strategies that make your fundraising processes both knowable and scalable. At most non-profits, when the staff identifies a new prospect, the team spins into action, trying to figure out “just the right way” to reach and engage the new donor. Likewise, the organization is constantly trying out new tactics and strategies, with the staff pulling its collective hair out implementing all of the ideas that come from board members, directors, and fundraising conferences. Thankfully, there is a better way. Donor fundraising systems allow your team to set up processes one time, so that they can focus on perfectly implementing best-practice-based strategies for things like prospecting, cultivation, donor communications, and stewardship. Good fundraising systems are knowable, meaning that no matter what type of donor your team encounters, the staff knows exactly what to do with them. Depending on your organization, there may be systems for major, mid-level, and low-dollar donors… as well as systems for prospects acquired through different strategies. There may also be systems for fundraising events, online fundraising, direct mail and more. Good fundraising systems are also scalable, meaning that they can grow as your non-profit grows. You can use your systems over and over again, meaning that you don’t need to waste bandwidth trying to come up with new strategies for every prospect, event, or fundraising appeal. Why Do Systems Matter for Your Non-Profit? Fundraising systems matter because they allow your non-profit to raise more money with less stress, hassle, and resources. Development offices that don’t have good fundraising systems feel chaotic… and fundraisers there often struggle to keep their head above water, with the constant sense that the organization is one bad month or one missed check away from insolvency. I call this "the fundraising treadmill" – the feeling that no matter what you did this month, come next month you will be starting from zero again, and it will be just as hectic and chaotic as ever. Good fundraising systems allow you to get off the treadmill by implementing a knowable, scalable system that provides the revenue your organization needs to thrive. On Tuesday, November 28th, I am going to be presenting a special free webinar at The Nonprofit Academy to teach you how to build strong fundraising systems for your non-profit. 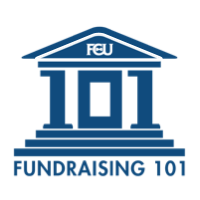 Systemize Your Fundraising! How to Raise More by Creating Scalable Fundraising Systems for Your Non-Profit will run from 1:00 – 2:15 PM Eastern Time. And the webinar is accredited for 1.25 CFRE continuing education credits! I hope to see you on November 28th!